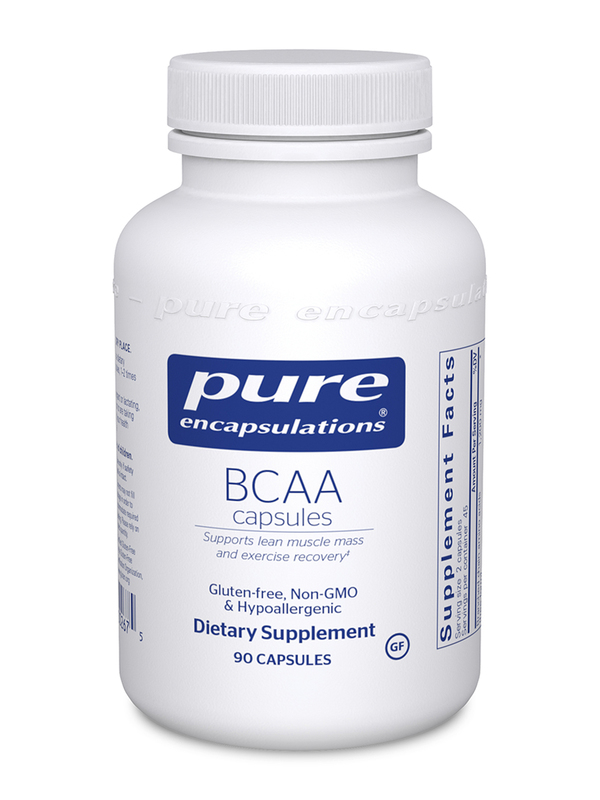 BCAA Capsules by Pure Encapsulations is a nice product! It's fuel for your muscles! I take two capsules of BCAA by Pure Encapsulations before my workouts. Great price. Like capsules better than powder form. BCAA capsules are a convenient way to provide your muscles with the essential proteins they need to grow and function properly‚ without preparing an array of regimented meals and snacks. Pure Encapsulations' BCAA Capsules contain three types of branched chain amino acids: leucine‚ isoleucine‚ and valin. 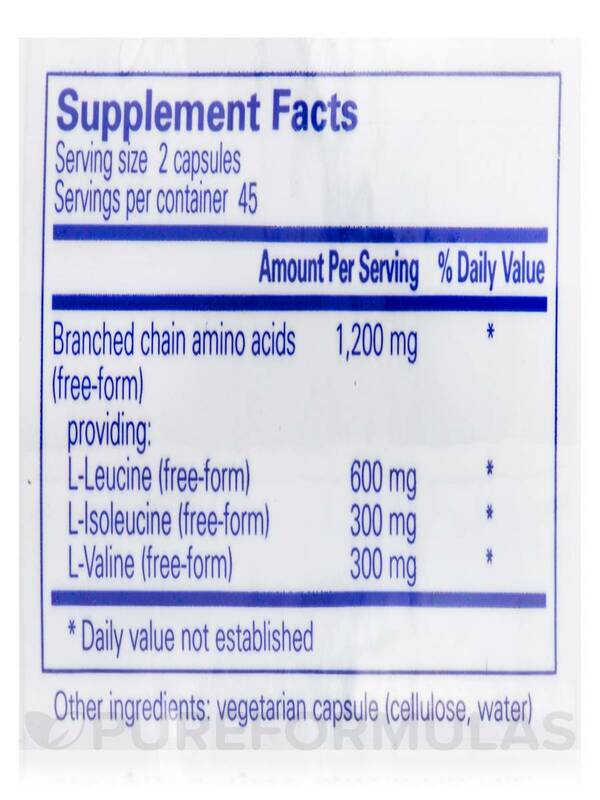 Unlike the more common types of amino acids‚ BCAAs are not metabolized by your liver. The liver may reduce the effectiveness of some supplements‚ meaning that less of their active contents enter the bloodstream and are potentially less bioavailable. With BCAA‚ you may have more support for healthy muscle mass. It promotes increased energy levels‚ allowing you to work out or train harder and longer. In addition‚ their ability to help stave off fatigue in the central nervous system may allow you to make better decisions on the field or court. Finally‚ branched chain amino acids may help support recovery. This can make it less likely that you end up sore and having to take too many rest days. 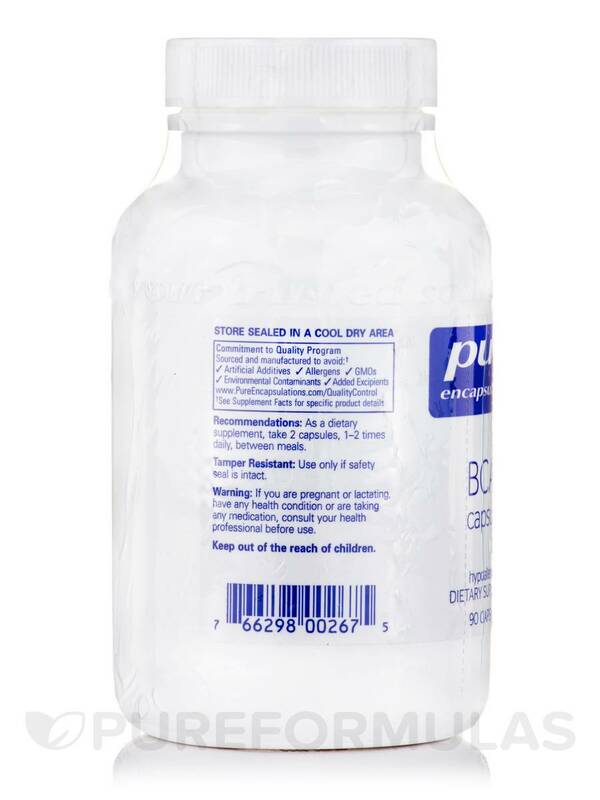 Each bottle of BCAA Capsules by Pure Encapsulations contains 90 vegetable capsules‚ which should last from about 22 to 45 days. BCAA Capsules by Pure Encapsulations was recommended by my nutritionist, to help me, but now I'm not sure if it's right for me at this time in my SIBO recovery. I will save in case we can use in the future. That once opened to try, one can't return. BCAA by Pure Encapsulations has defiantly assisted in building muscle! Easy to take and it works! This is so much better than the powder! Let me make the disclaimer that I have not used the Pure BCAA powder, but have been using a different brand. I am a clean eating vegetarian, so finding supplementation that is not full of junk is tough. I work out 5-6 days a week, and I use BCAA's (2 weeks on, 1 week off) to help with muscle recovery and growth. taking the bcaa in powder form as a drink made me severely nauseas. I now take two caps about 30 minutes before work out and so far seems to do a bang up job for me. I was recommended this product by a fitness competitor who works at a health store, who told me she has the same problem...being a clean eater and trying to find clean supplementation. 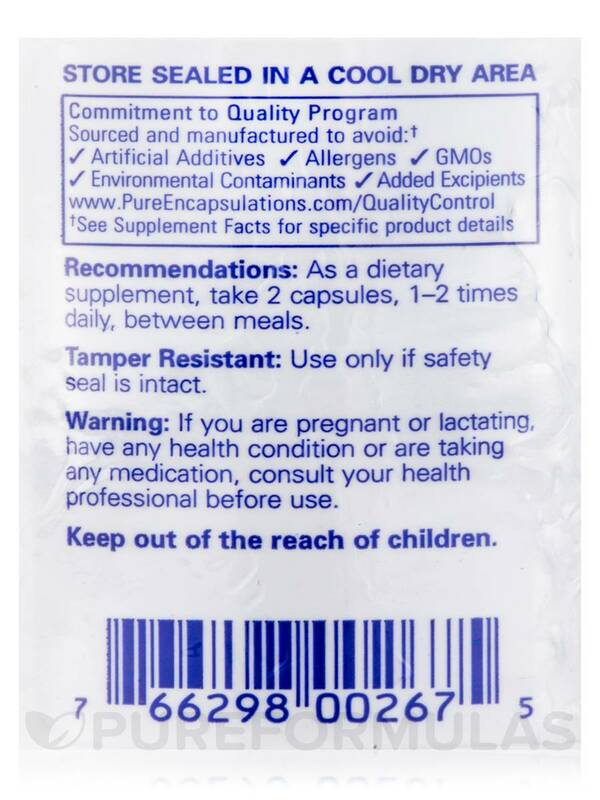 This is a product I will be sticking with. 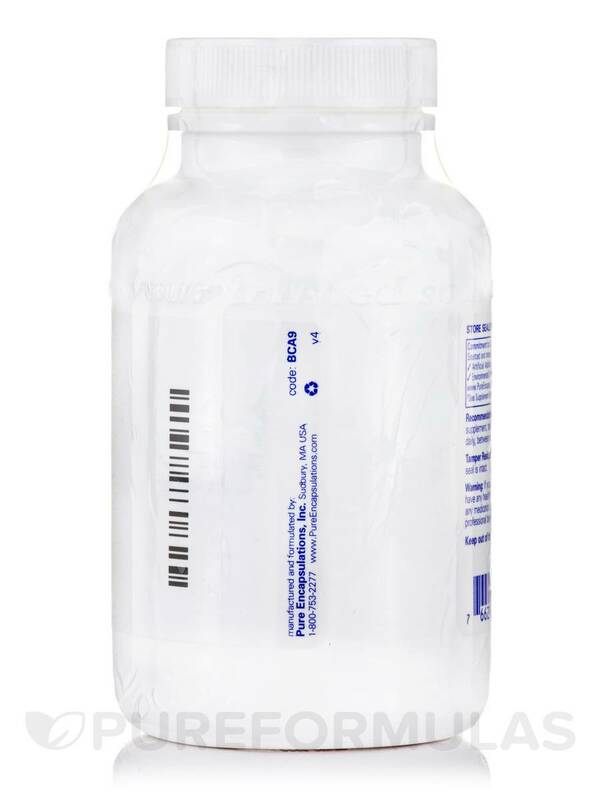 I appreciate that there are products like these that do not add in garbage and keep it as simple and clean as possible.